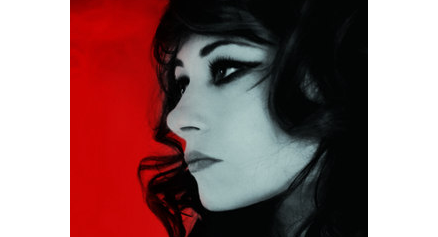 Frances Ruffelle returns to London's Crazy Coqs at the end of this week for two nights only. Reprising her acclaimed one-woman show Beneath The Dress, it is no surprise that her Friday night gig is already sold out with only a handful of tickets remaining for Saturday. 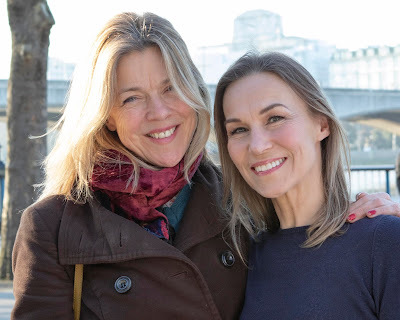 Amidst rehearsals and preparation, I caught up with Frances for a brief chat about the show. JB: Please tell me, what was the inspiration for Beneath The Dress? FR: Basically I just put together a show that was about myself in a way, but also about situations that I associate with, or singers who I love, or songs that I have been influenced by and songs with situations that I associate with as well. And also it just simply celebrates women who love to entertain. It's really a song cycle more than a cabaret, a story of one woman, but a lot of people when they are watching it, think I am playing different characters. It's one woman going through her life and starting out as young and excited, with her whole life in front of her and the set evolves into a much more jaded older woman at the end who is basically having to come to terms with stuff and accept life as it is. JB: Is there an autobiographical inspiration to the show? FR: Not exactly. But there are moments of me in the show that my friends will recognise. JB: What is the history of the show? FR: I first did it at Madame JoJo's actually and then I did it in Edinburgh about five years ago. I’ve done it in New York, in Poland, a lot of places. I’d sort of felt as if the show was in my past and I didn't expect to be doing it again, but then Ruth Leon at the Crazy Coqs who hadn't seen it, said “Hey how about coming back to the Crazy Coqs and doing Beneath the Dress because I would like to see it”. So here I am! I’ve added three or four different songs because I thought it would be great for audiences that have seen it before to have something else, and I actually think these songs help tell the story even more. I have refined it. JB: Without expecting you to give away any secrets, where do the songs derive from, is it shows, is it the songbooks? FR: From absolutely everywhere. From Cole Porter to Tom Waits, to Jacques Brel. I also have also some lyrics that I have written myself. JB: How big is your band? FR: We have got four pieces, we might have five we are not sure yet. I am going to decide that with David Barber, my MD. Originally the show had a six-piece band, but that's too much for the Crazy Coqs. Making sure that the show perfectly fits the venue is very important to me. JB: And who is producing or directing you? FR: Well Danielle Tarento always produces me and originally I had taken direction from Paul Baker. Paul and I have played opposite each other three times in three different productions including my Roxy to his Amos in the West End. He directed me at the Edinburgh Festival and has been really really helpful and amazing as Beneath The Dress has evolved. Funnily enough, I am going to be directing his one man show later this year as well. JB: I recall that in your last appearance at the Crazy Coqs in your Paris Original cabaret, the show included several gorgeous costume changes. How many changes of dress make up Beneath The Dress? JB: Sounds fabulous and I am looking forward to seeing the show. Thanks so much for sparing the time to talk!